Ajit Pai and the FCC Repeal Net Neutrality - Gains and Loses? Ajit Pai and the FCC Repeal Net Neutrality – What do We Gain and Lose? Ajit Pai and the FCC Repeal Net Neutrality - What do We Gain and Lose? The Net Neutrality regulations, passed by the FCC in February 2015, are on the brink of being repealed. On December 14. 2017, the FCC voted in favor of repealing the Neutrality regulations, amid intense controversy, with a furious backlash following the vote. The decision has enraged many internet users who feel that it signals the death of the internet as we know it. Many Americans are now wondering what impact, if any, the FCC vote could have on their daily lives. Many people fear that ISPs will start to charge exorbitant fees for access to certain websites, or they will throttle internet services. Naturally, people fear that an unregulated and non-’neutral’ internet will be catastrophic for the average, middle-income consumer. In 1934, the US Federal Government created the Federal Communications Commission (FCC). The commission was authorized to regulate all wire and radio services, which were classified as Title II (common carriers). In 2015, the FCC reclassified broadband as a Title II communication, enabling them to apply the Net Neutrality regulations. Essentially, this means the internet should be treated as a utility, rather than a commodity. No blocking: ISPs cannot block any legitimate web traffic. They cannot prevent users from accessing content, no matter how unsavory it may be. They also can’t restrict access to rival businesses. For example, if an ISP owns a video portal, they can’t prevent users from accessing a rival service, such as YouTube. No throttling: Likewise, ISPs cannot slow down certain web services and reduce network speeds on certain sites. ISPs must allow free and open access to all legal web content. No prioritization: ISPs cannot selectively speed up content in return for payment. They have to offer equal internet speeds for all web services. These regulations were passed, ostensibly to protect the consumer. Allowing ISPs to charge for certain content and restrict services could harm consumer interests. However, critics of Net Neutrality argue that it stifles innovation, and the internet should be a commodity, and unregulated. These arguments led to Ajit Pai repealing the regulations. What’s the Latest on Net Neutrality? Ajit Pai was named as the new FCC chairman by Donald Trump in January 2017. Soon after his appointment, Ajit Pai declared that he wanted to repeal the Net Neutrality policies. On December 14, 2017, the FCC voted 3-2 in favor of the repeal. In their place, the FCC suggested a new form of regulation, which would place ISPs under the control of the Federal Trade Commision (FCT), which would allow the FCT to prevent ISPs from engaging in unfair business practices, but they would not be subject to specific regulation. Before the repeal goes into effect, the new rules must be entered into the federal register. This process will take a few months at the least. In the meantime, you can expect to see a flurry of lawsuits as lobby groups, NGOs, lawmakers, and attorneys across the country are mobilizing. They intend to take on the Federal Government and prevent the repeal. A considerable majority of Americans are pro-Net Neutrality, and appeals and deliberations may drag on for some time. Going forward, there’s a lot of anxiety among American internet consumers. Some are predicting a dystopian future where big corporations have full control over the internet, with web services only available to wealthy users, and where ISPs censor minority voices, and start-ups fail to compete. Others, who are anti-Net Neutrality, are predicting a bright future, where consumers control the market. 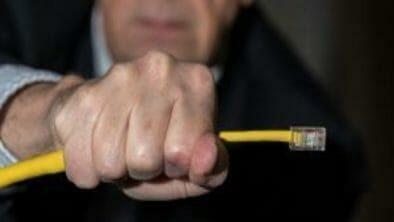 ISPs fight to provide the best service, internet usage is cheaper, and there are far more innovations and investments. Yet, many places in the US rely on a single ISP, so hoping for a free and competitive market may just be wishful thinking. There are genuine fears that ISPs will begin to charge extra for high-bandwidth content, such as Netflix or Hulu. People are also concerned about the future of Bitcoin mining, torrenting, gaming, and live streaming. Any online activity which requires a high amount of bandwidth could potentially be priced out of usefulness. ISPs may continue to be “business as usual,” but the evidence suggests they won’t. In the past, ISPs have throttled services, such as BitTorrent, and blocked rival services. It does suggest a possibility of it being done again. In an interview with Vice News, Ajit Pai admitted that the repeal could pose a risk to the consumer. However, he stated clearly that he felt the overall benefits outweighed potential risks. He maintains that without Net Neutrality, ISPs will have to compete, encouraging investors to pump money into ISPs and allowing them to offer better services to their customers. Ajit Pai also released a cheeky video detailing all the things one can still do, post the repeal. If the repeal goes ahead, and ISPs are given the green light to do as they please, then you may have to use a VPN. A Virtual Private Network (VPN) will help you to bypass potential restrictions and network throttling imposed by ISPs. Bypass geo-restrictions. Post-Net Neutrality, ISPs may decide to block or restrict content in your location. With a VPN can geo-spoof your location, which enables you to access content which is restricted in your region. Also, a VPN can help you bypass network congestion. After the repeal, ISPs may open internet “fast lanes” which means that high-speed internet is only available to those willing to pay extra. As a result, the “slow lanes” may become over congested, and internet speeds may slow to a crawl. If internet speeds do become regulated, unbalanced, and over congested, you can simply use a VPN to connect to a server in a different country and enjoy a faster internet service. Remain anonymous online. In addition, without government regulations in place, ISPs may spy on their user’s activities. With a VPN, you can remain totally anonymous online (please see our VPN reviews page). Although the ISP may be aware that you’re using a VPN, they will not be able to monitor your online activities. VPNs have been instrumental in circumventing government censorship abroad, and now they may become a necessity for US citizens too. The FCC vote does not mean that Net Neutrality has been repealed. There is still a lengthy process, and lobbyists are preparing to fight the new regulation. It’s not clear what the future holds for the internet in a post- Net Neutrality era, but many are predicting the worst. We advise investing in a VPN service now before internet congestion in the “slow lanes” becomes unbearable.